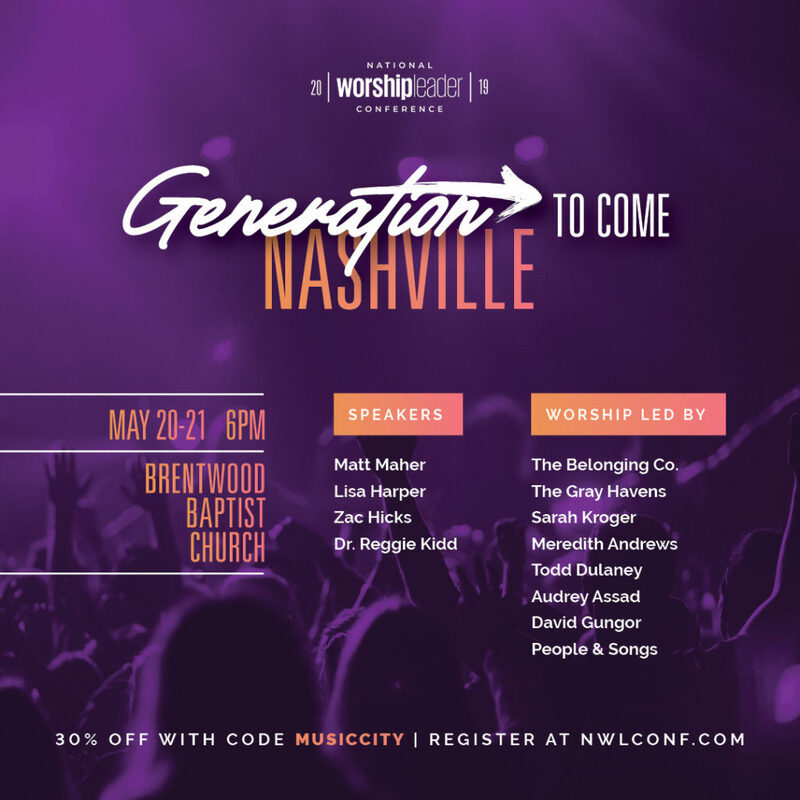 I’m excited to announce that I will be hosting a couple of workshops at the National Worship Leader Conference May 20-21 at Brentwood Baptist Church in Brentwood, TN. Should be a great conference including performances by The Belonging Co., The Gray Havens, Meredith Andrews, Audrey Assad, Sara Kroger and David Gungor. Speakers and panelists include Matt Maher, For King & Country and others. Use the code MUSICCITY when registering for a 30% discount. Hope to see you there! When I think of all the music industry people I’ve known over the years, a few come to mind who stand above the rest. One of those such people is a man named Mark Maxwell. I knew Mark’s character well before I met him due to love and respect so many others have for him. Mark’s zeal for music and celebration of others is so refreshing. I was super excited to hear that Mark was selected to do a Tedx Talk and not surprised at all by what he chose to share. Check out the video of Mark Maxwell’s Tedx Talk below and take copious notes! 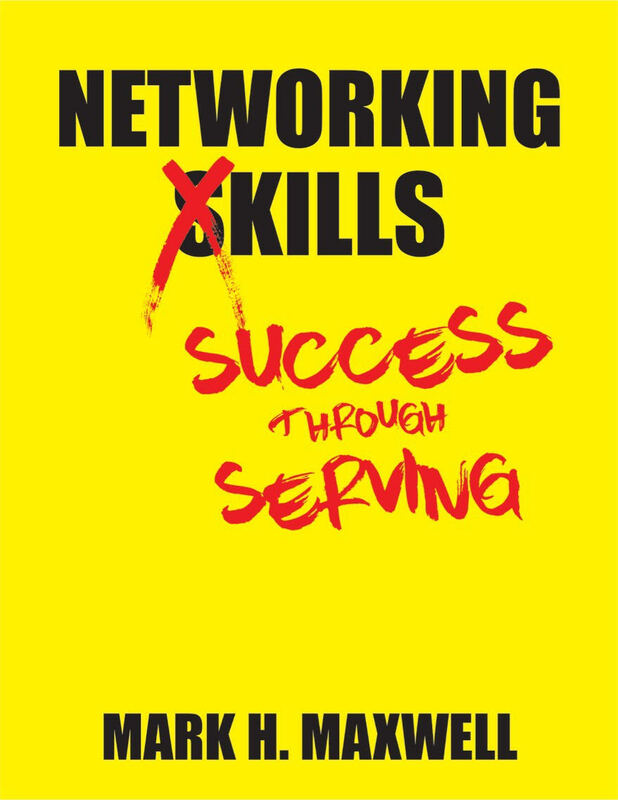 And as if his Tedx Talk isn’t big enough news, Mark just released an ebook titled Networking Kills: Success Through Serving which I can’t wait to read! 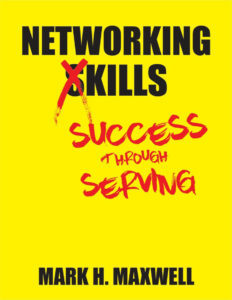 Its available now on Amazon, Click Here to grab your copy. Springtime is upon us and many artists/musicians are preparing for touring season. The tour buses, vans and RVs that sat idle throughout January and February begin rolling again. Many musicians are filled with anticipation for the experiences the new touring year will bring. New gear, new show, new music and oftentimes new touring mates. 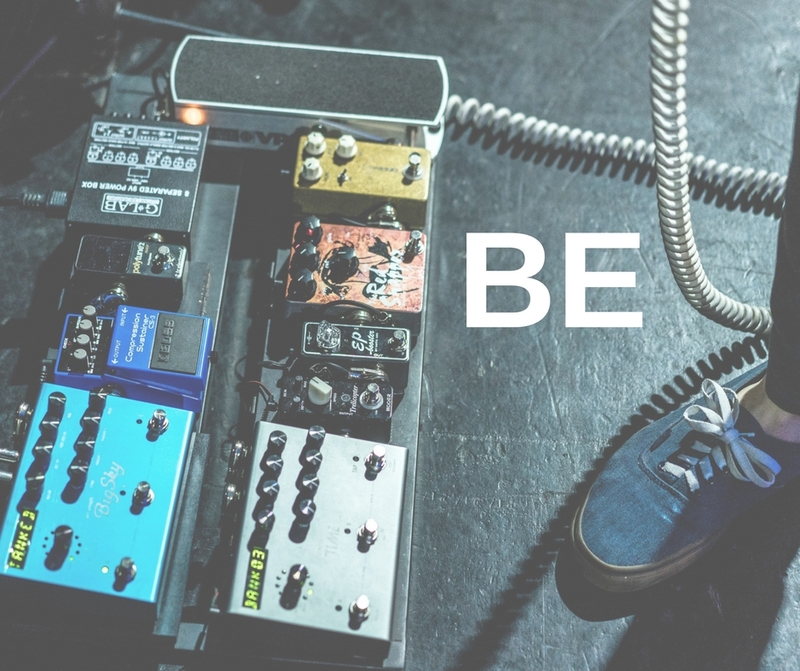 As you begin the new touring year, I’d like to encourage you to think about the simple two letter word BE. Who are you going to BE to the folks you encounter this year? What kind of experience do you want to create for your bandmates, the road crew and the drivers you will be traveling with? How about the folks who work the venues along the way? And let’s not forget about those fans who buy tickets to your shows making it possible for you to earn a living making music. BE-ing takes a little forethought. Try thinking about the experience you will create for others as opposed to the experience they will create for you. How will you BE to others based on how Jesus teaches us to BE. This year try replacing “me” with BE! For though I am free from all, I have made myself a servant to all, that I might win more of them. To the Jews I became as a Jew, in order to win Jews. To those under the law I became as one under the law (though not being myself under the law) that I might win those under the law. To those outside the law I became as one outside the law (not being outside the law of God but under the law of Christ) that I might win those outside the law. To the weak I became weak, that I might win the weak. I have become all things to all people, that by all means I might save some. I do it all for the sake of the gospel, that I may share with them in its blessings. I had the opportunity this past weekend to experience something super incredible which included a transformation in the way I will live the rest of my life. When Jesus transformed me back in 1998, I found my purpose in life but along the way, over the last 20 years, my engine picked up a little gunk and I found myself stuck. I desperately wanted to find a way to Unstuck it. Expecting much from fellow Christians, I found myself disappointed quite often. As a result of disappointment, I began constructing walls to protect my heart. Building small walls of protection seemed like a wise idea but when I looked back and realized I had built a city of walls to protect myself, I was a bit overwhelmed. The walls had filled my engine with gunk and I found myself stuck in neutral. It’s quite depressing to know your purpose in life but realizing you are stuck in neutral and the gear shift won’t move into drive no matter how much human force is applied. Are you feeling stuck? Have you forgiven but find yourself still haunted with memories of disappointment? Are there broken relationships in your life? Do you feel like a ten thousand pound weight is preventing you from chasing your God given purpose in life? Do you long for a way to accelerate your path towards fulfilling your purpose in life? ARE YOU STUCK? If you resonate with any of those feelings, allow me to introduce you to The Encounter Training! It will unstuck you! The Encounter Training is a four day intensive training built on Biblical principles and led by highly skilled Christian people. God has gifted these folks to lead you through some intensive exercises that will help you become aware of the gunk in your engine while discovering a way to clean it out to get you running like brand new Tesla! 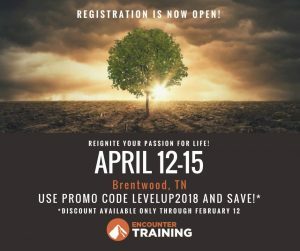 They will be hosting the next Encounter Training in Brentwood, TN April 12-15. The cost is $399 but they are offering an early registration at $279 if you register by February 12 and use code LEVELUP2018. Trust me, it is worth every dime you pay for it. If you have any questions about The Encounter Training, feel free to contact me via at keithstancil@gmail.com and I’d be happy to answer whatever I can. As we jump into 2018 with a vigor for fresh beginnings, many of us look to implement new daily routines for enhancing our physical, spiritual and mental health. I can’t think of a better daily activity than experiencing more of God. A friend of mine, Dave Buehring, has launched a daily 2 minute devotional to help us experience the character of God. As a super gifted pastor, communicator and teacher, Dave packs big nuggets in two minutes . I’m on day 2 and loving the impact the devotional is having on my daily experience with God! Dave has served as a mentor to many folks in the entertainment industry. Below are a few testimonials from Jeremy Camp, Mandisa and Sara Evans. 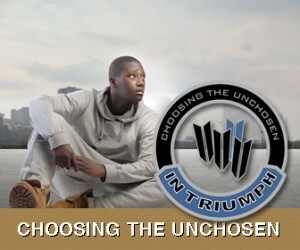 Visit Dave’s website davebuehring.com to subscribe to these wonderful daily devotionals. Imagine a Church With No Walls. A group of Jesus followers, with no physical building, who meet to hear Jesus’ teachings and then scatter amongst the community to live out the teaching through sharing the good news of the Gospel with others, loving on our neighbors and discipling those who believe. Sound a bit like the early New Testament church? Noah Cleveland is an recording artist focused on making Jesus famous. He recently released the song “Church With No Walls” which encourages listeners to to go beyond the walls of the Church to share the good news of Jesus with others through action. Inspired by his own lyrics, Noah penned a book, Church With No Walls A 21-Day Challenge, as a tool to encourage Believers to begin the daily exercise of living out God’s Word outside of our weekly church attendance. Fellow ministry partner, Tony Nolan, wrote the forward for the book and each chapter contains a word of encouragement from pastors and Christian leaders around the world along with a daily action challenge. 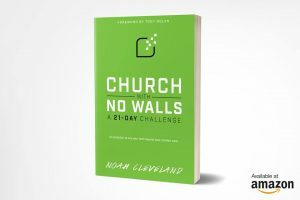 Church With No Walls A 21-Day Challenge serves as a great ministry action book for churches, youth groups, women or men’s group and small groups. I’m personally looking forward to taking the challenge in early 2018! Thanksgiving is quickly approaching as we all begin to shift into Christmas mode and prepare to get pummeled with commercialism. It’s quite easy to do exactly what we do every Christmas season and move into auto-mode. What if we tried something different this year? Something that adds a new flavor and breaks us out of the routine of the usual? 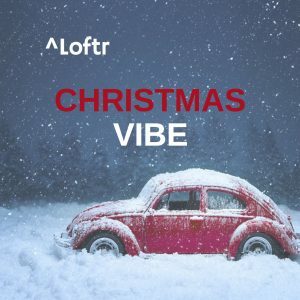 The folks at ^Loftr have done just that this year through introducing, CHRISTMAS VIBE, a new Christmas playlist full of songs you may not have heard before. As I gave it a listen this week, I found myself focusing more on the lyrics about the Christmas story than I do when listening to the familiar music I normally hear to this time of year. I’d encourage you to give it a listen and try something new. While you are at it add a few more new things to your Christmas celebration this year and celebrate the birth of Jesus, our Lord & Savior with a new zeal! If you live in Nashville, you are well aware our city is crawling with incredible musicians, songwriters and vocalists. These musicians fill the platforms of churches every weekend to usher God’s people into worship. Some get paid while others volunteer but most all have one thing in common, they are well versed in the politics of worship teams. I’ve heard many stories of musicians who feel called to serve on worship teams but they just can’t break through the politics. Granted, churches need filters in place to ensure the musicians on stage are proficient on their instruments, true Jesus followers and have a genuine desire to be a part of a worship team as opposed to using the platform as a stage to showcase. That’s not an easy task in a town of musicians who serve the country and Christian music business. 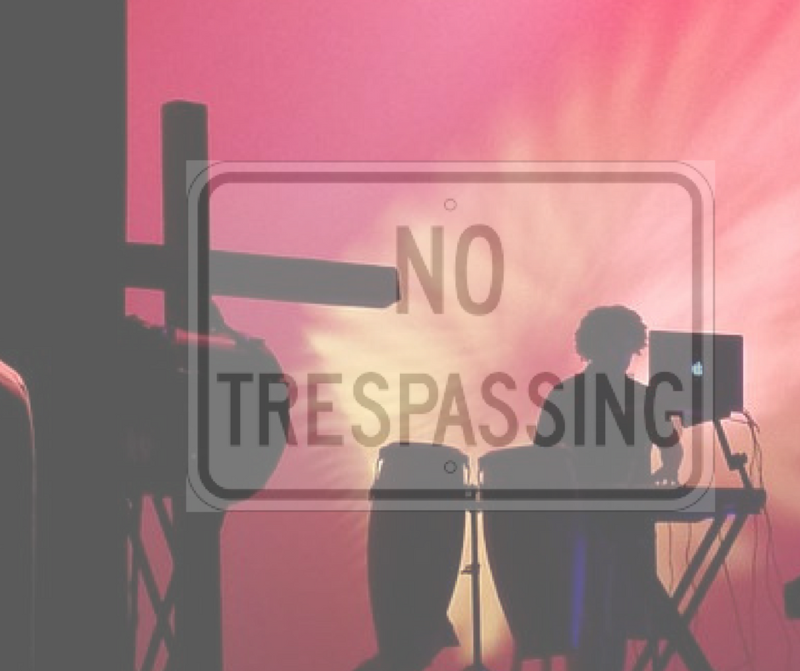 Some who land worship positions at key churches can be very territorial. This week, I spent some time with a musician who moved to Nashville from Australia a year ago. In Australia, he served at Hillsong directing some fairly big worship teams. My friend is an incredibly talented musician on both keyboard and guitar and probably one of the nicest fellows one could hope to meet. Upon arriving to Nashville, he landed in a church full of musicians and songwriters. This particular musician spent a year serving his new church in numerous ways including setting up chairs and various other things required for a church that meets in a temporary meeting place. I’ve gotten to know him quite well and it was obvious from the outset of our friendship that his Jesus following heart is in the right place. This musician isn’t looking for money or a place to showcase on the stage but instead looking to serve his church using the talents God has given him. 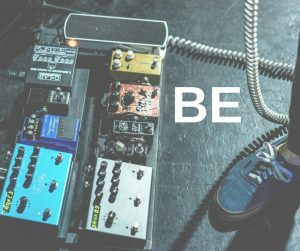 Feeling called to serve on the worship team, he began trying to network with the leaders of the church and members of the worship team to let them know his desire to audition for the worship team. Unfortunately, the politics of worship at this church won’t even allow him to audition. I’m sure some of you reading this post have had similar experiences. While it can be frustrating, I would encourage you to use the time to really listen to God. Is he teaching you something through the experience or is he telling you to move on to another church that needs your talents? I’d love to hear how God helps you navigate the politics of worship teams. So you write great songs, put on a great live show and radio programmers across the country have decided to catapult you to the top of the charts by spinning your song in heavy rotation. Success is knocking on your door with a special delivery of fame. Are you fully prepared for the platform God has just given you? I’ve heard numerous Christian artists state “I’m not a minister, I’m a Christian entertainer.” Before making that statement so quickly, maybe we should examine the platform God has entrusted you with. While you will be on stage entertaining, thousands of young impressionable minds will put you on a pedestal. Like it or not, that pedestal comes along with the job. From this moment on, every word spoken from your mouth on or off stage matters in a bigger way than you ever imagined. Your words will either reflect truth about Jesus or they will deflect truth about Jesus. Your words matter whether you are performing in churches or in mainstream arenas. You are now a teacher with a following. The Bible tells us in James 3:1 Let not many of you become teachers, my brethren, knowing that as such we will incur a stricter judgement. God apparently looks at the role of teacher as a huge responsibility. And you thought being an entertainer would be a piece of cake? Interestingly, God also reminds us that no one will be the perfect teacher as James 3:2 goes on to say For we all stumble in many ways. If anyone does not stumble in what he says, he is perfect man, able to bridle the whole body as well. While we will never be the perfect teacher, we should strive to be the best we can through knowing God’s Word. Entertainers are a different kind of teacher than pastors or college professors, but they still teach through words and action both on and off stage. Words said from stage, interviews in the media and lyrics written in songs all teach to some degree. Therefore, knowing Truth should rank as a high priority. 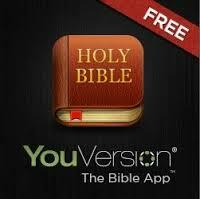 I would encourage all Christians, who are chasing a career on stage, to make studying the Bible a priority. Seek out a wise mentor and others to study with. God has given you a platform that others will look up to, and he expects big things from you. Know the Truth, Live the truth and Teach the truth! I thought you might be interested in adding some Loft to your day. 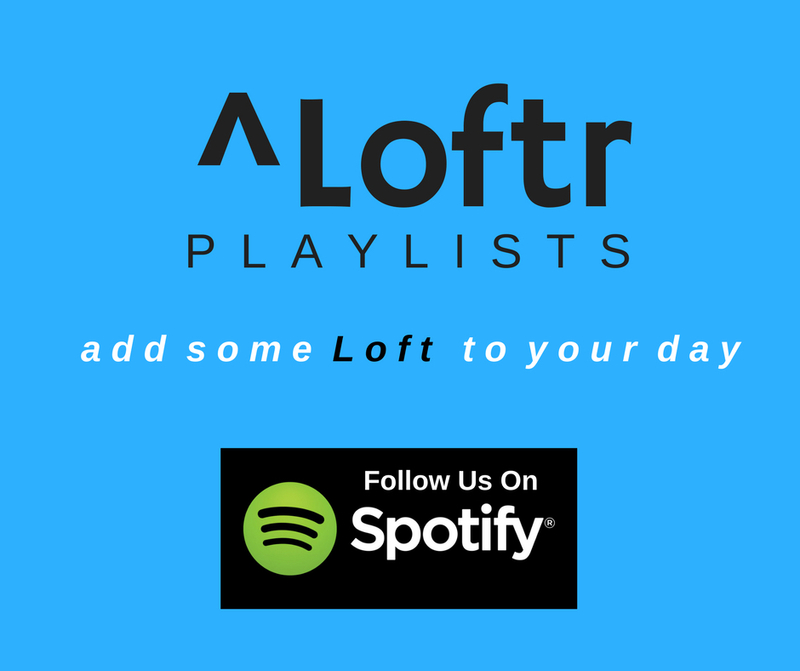 A new playlist brand launched this week called ^Loftr With six new Spotify playlists, there is a little something for a wide range of musical taste. The playlists are curated collections of music created by Believers and include music from some mainstream artists who have been vocal about their faith and some faith-based artists that you may not be aware of. And speaking of adding loft to your day, do you have a daily regiment to help usher you into the presence of Jesus? Everyone is different but I’ve found filling my mind with prayer, reading and music about the God of our universe, sets the stage for how my day will flow. I long to feel his presence throughout my day no matter what tasks I may be tackling. When I fail to welcome Jesus into my day, I feel disconnected and my day doesn’t go so well. I’d love to hear from some of you. What do you do to Lift your day? Get A Free Study Guide Now! 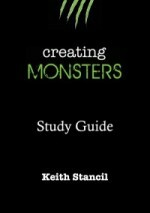 Sign up for my e-mail list and get a FREE Creating Monsters Study Guide!